Giving your home’s interior some spice is not all about getting some quality paint and a paint brush. Painting is a craft and our interior or exterior painting services at Inti Painting will take away the bland look and give your home a more bright and colorful feel. What’s more, we save you the mess and the disappointing results. With us, your aspirations for your interior will come to life and with our expertise and right materials and equipment. All we will leave behind is perfectly finished surfaces – just how you like it! 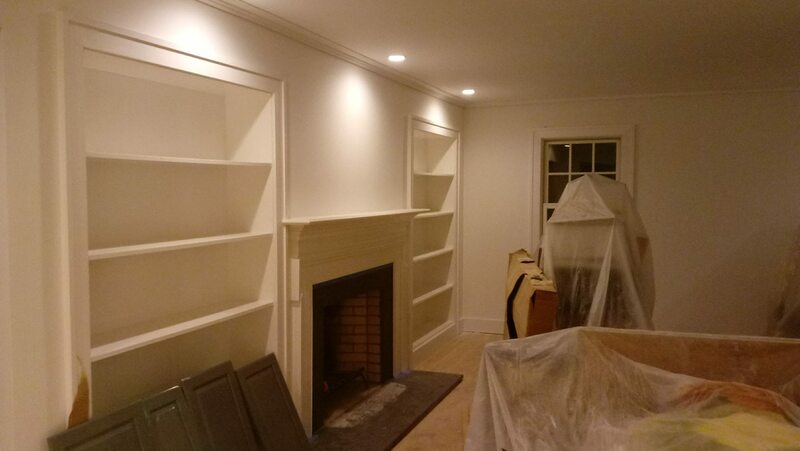 Pristine finished walls are just one of the many benefits that you will have as our clients. You will also be able to enjoy a variety of other benefits like our timely services, quality guarantee and experience among others. Whether you want to wipe out the dents and scratches on your walls or even better yet give the whole house a makeover, get in touch with us and we will help you. When choosing an interior paint service, you want one that will not only offer you great results but also take care of your home. At Inti Painting, we treat your home as ours. This is precisely what sets us apart from other painting services. We not only paint your home but we also take care of it. Our team at Inti Painting works as per your time preferences and your needs. This is because we always make sure not to be too much of a nuisance to the comfort of your life at home. If you are not 100% satisfied, we are not either. We have a team of highly qualified painters and decorators. Furthermore, we only use the best quality paint products to make sure that we get the best results for our customers. That is how seriously we take customer level of satisfaction. As professionals, we don’t leave anything to chance. We are a licensed and fully insured business. Our clients don’t have to worry while we give their homes a fresh coat of paint. Should anything unexpected happen, their property will be replaced. We use only the best products in the market. From paints, paint brushes, sealants and even the plastic sheeting. When it comes to our clients, we don’t hold back on the quality of the materials we use. Even our painting crews are the best in the industry. You book our services. After this we set up a meeting or a call to get the details on how you would like the job completed. We also take the time to have a look at the walls that need work. Once you have confirmed the details of the interior painting job and other details, we are ready to start preparing the walls for painting. Even though we do most of the heavy lifting, we will ask you to remove any valuable and fragile items like pictures and picture frames from the area that is going to be paid. If you have pets, we will recommend that you move them to a safe location for the period that we will be painting your home. Our clients are free to ask any questions they might have before and during the painting process. Our painting crew is very friendly and approachable. They are well trained and always ready to answer any questions you might have for us. Inti Painting offers its clients reliable, affordable and high quality interior painting services for their home. With us, it is not only about getting the job done. However it is about making sure it is done to the highest standards and to the convenience of our clients. If you have a new idea for your home and you are looking for a great interior house painting company to bring your ideas to life, call us today and we can help you breathe life into your ideas.